Let me start out by saying that this experiment had started over the summer, when I somehow didn’t realize I had cut out a child’s dress as my bathing suit coverup. I guess I should have noticed the pattern is called Burda Young, but the picture of adults on the front really threw me off. 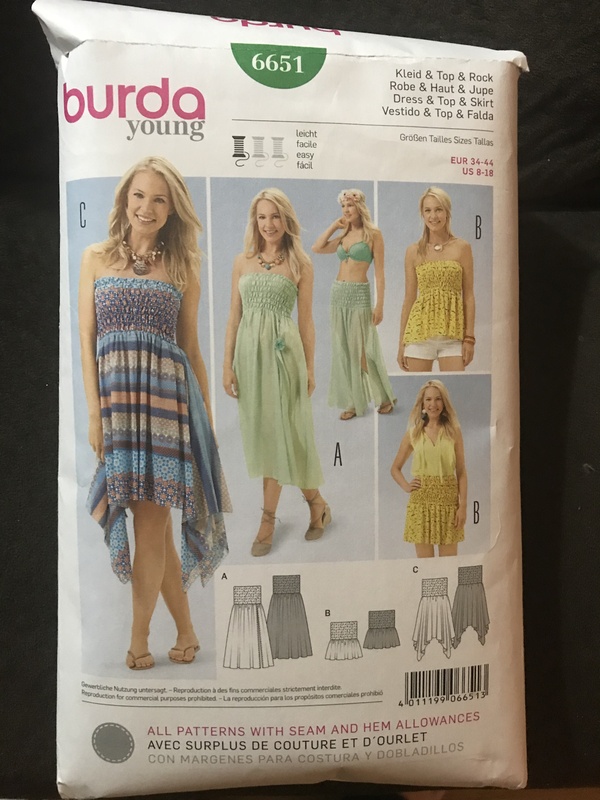 Burda patterns have always confused me – it’s like they make the directions difficult on purpose so that you get more of a sense of accomplishment. It doesn’t help me out – I’ve never been able to fully figure out one of these patterns. Despite not realizing what I was cutting out, the dress actually didn’t turn out too bad. 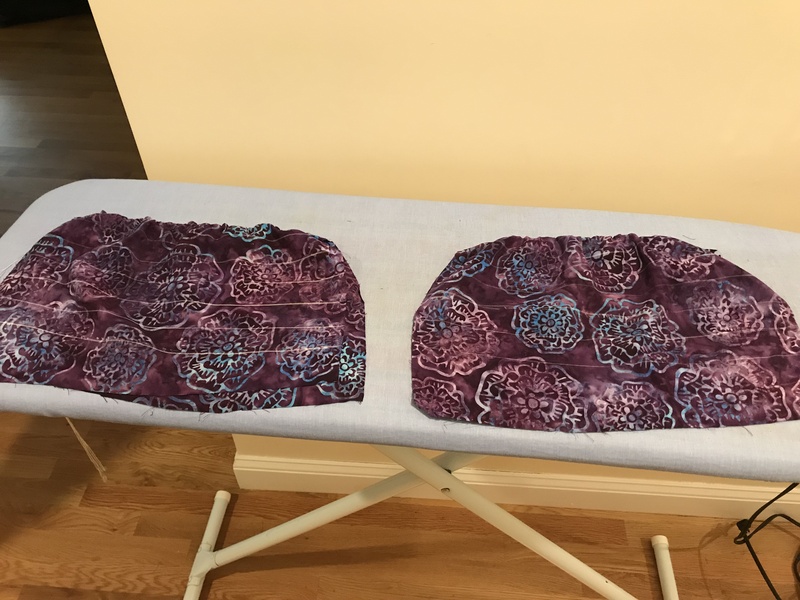 And I was able to figure out how to create the shirring effect on the fabric from a simple Internet search. 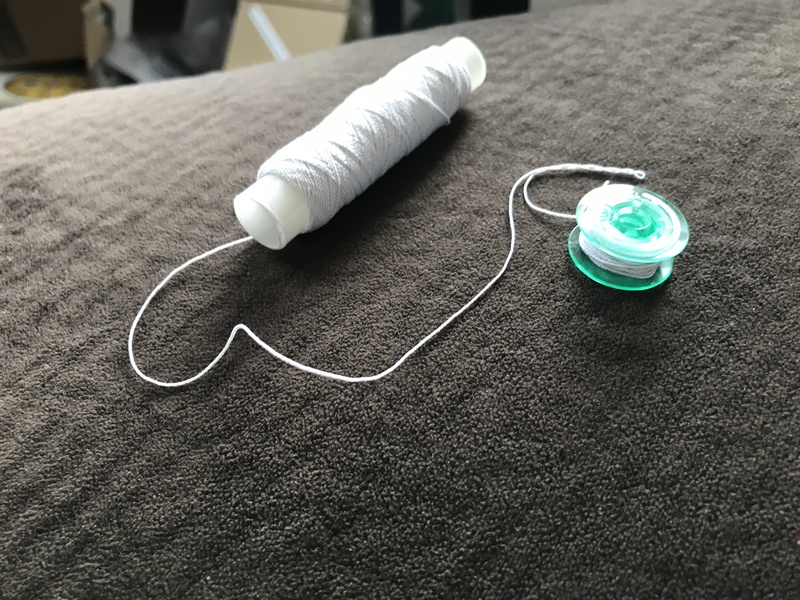 The most important thing to do is hand wind the bobbin with the elastic thread. 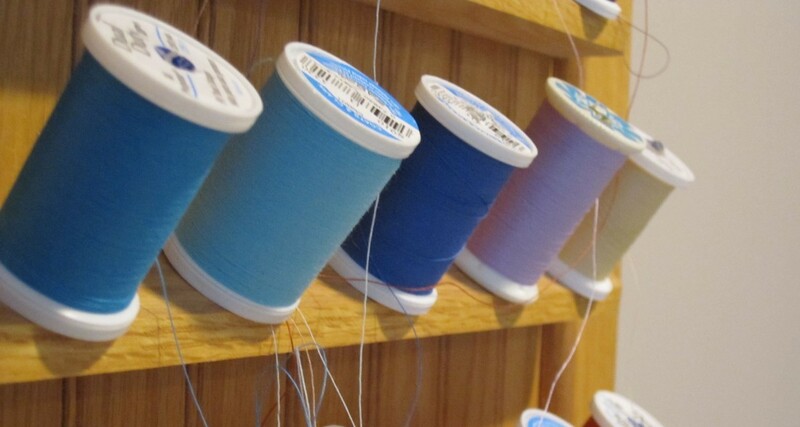 The top stitch uses regular thread, but you need to loosen the tension on the machine and use a large stitch size. I was a little scared with changing the tension since I was told to never touch it as it may be really hard getting it back to where it should be. In order to make sure the shirring lines were all the same distance apart, I measured and chalked the sewing lines. Then after the front & back were sewn together, I was able to sew all the way around the top, causing the fabric to shrink inward. I made sure the tie the ends since it seemed more stable than back-stitching with the elastic. Categories: Sewing Projects, Uncategorized | Tags: Bathingsuit coverup, Burda 6651, Burda patterns, elastic thread, Homemade Dress, Sewing, Shirring fabric | Permalink.